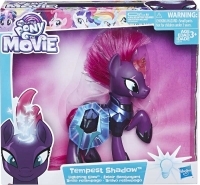 Tempest Shadow isn't what she seems, and learns through her journey that the power of friendship is the most magical of all! 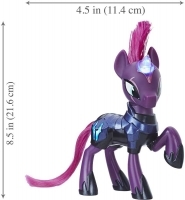 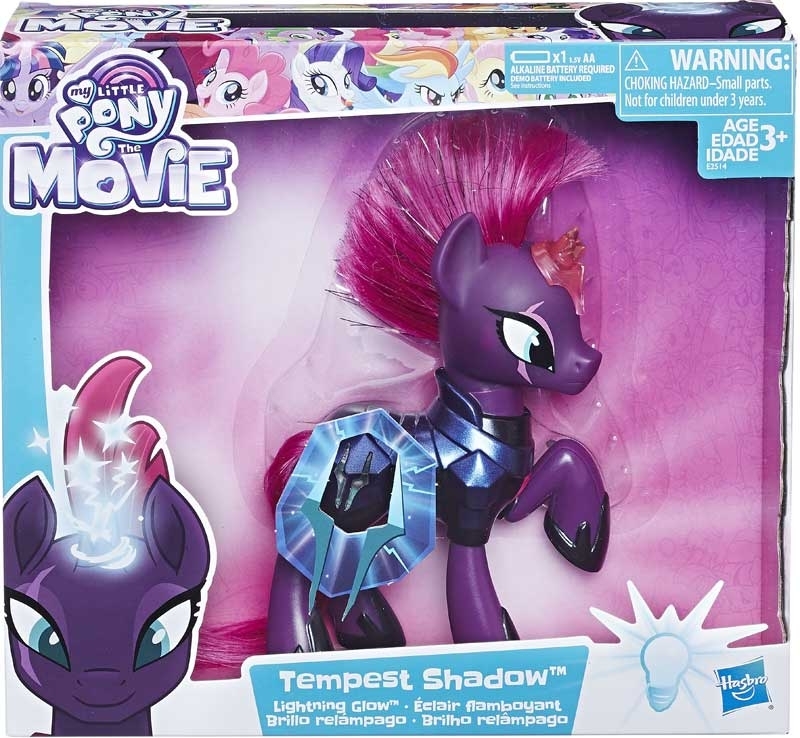 Imagine movie-inspired adventures with this Lightning Glow Tempest Shadow pony figure. 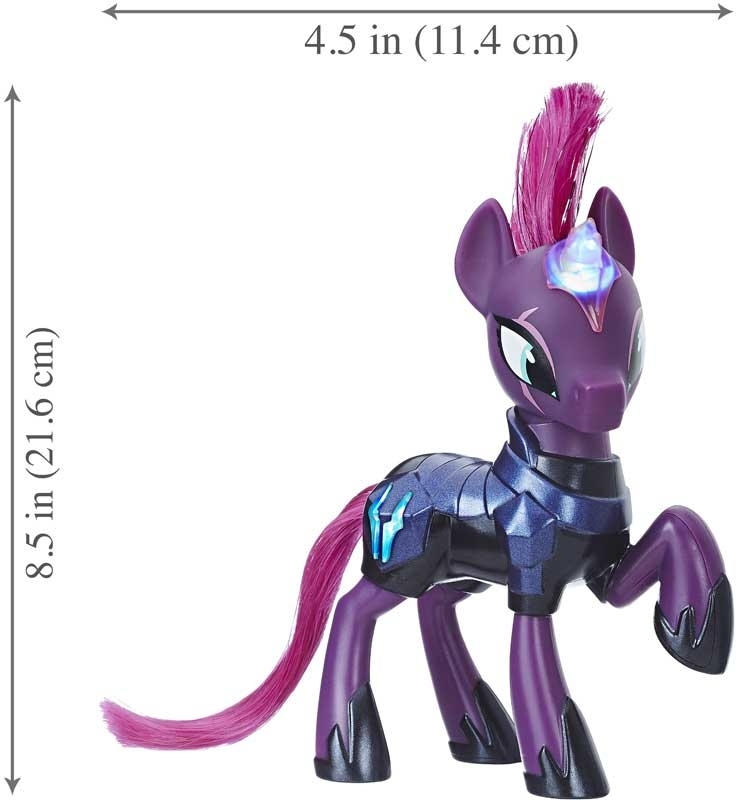 Press her Cutie Mark to see it light up blue -- her horn lights up, too! 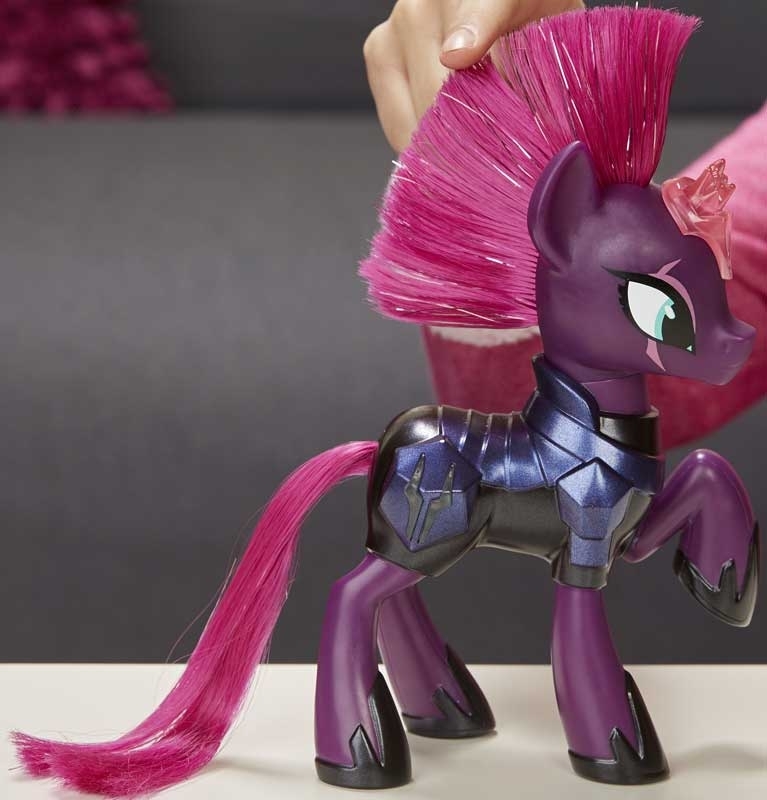 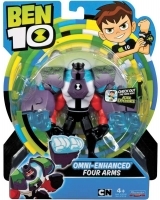 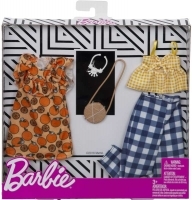 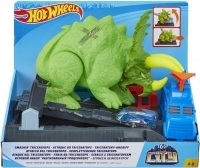 Pretend she's on a fierce mission to track down Twilight Sparkle, Pinkie Pie, Rainbow Dash, Fluttershy, Rarity, Applejack, and Spike the Dragon to gain control of Equestria and restore her horn.